Everyone loves a good breakfast – right?! Well, you dont have to miss out on your favorites while embracing your keto or paleo lifestyle. 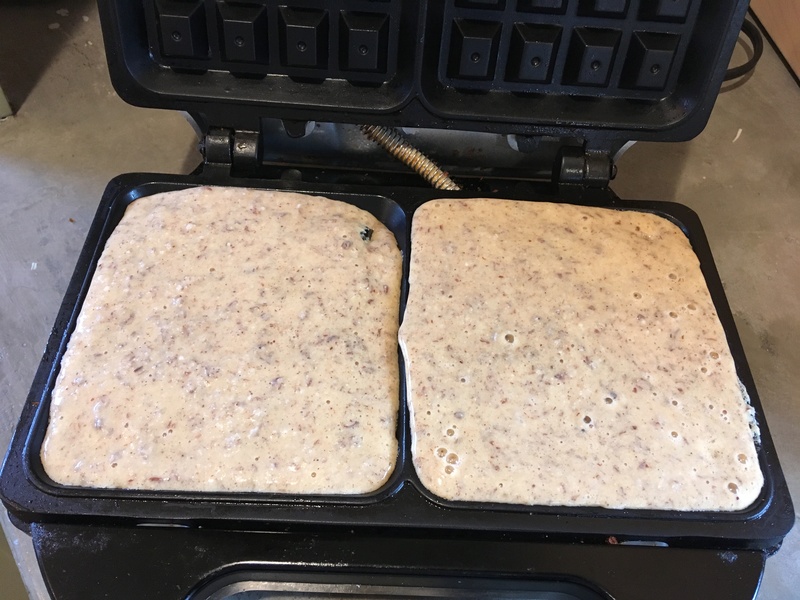 While my normal weekend breakfast favorite is pancakes (be sure to check out my Almond Flour Keto Pancakes recipe), but every once in a while a nice fluffy, but crisp on the outside waffle w/ some sausage or bacon, just sounds perfect! 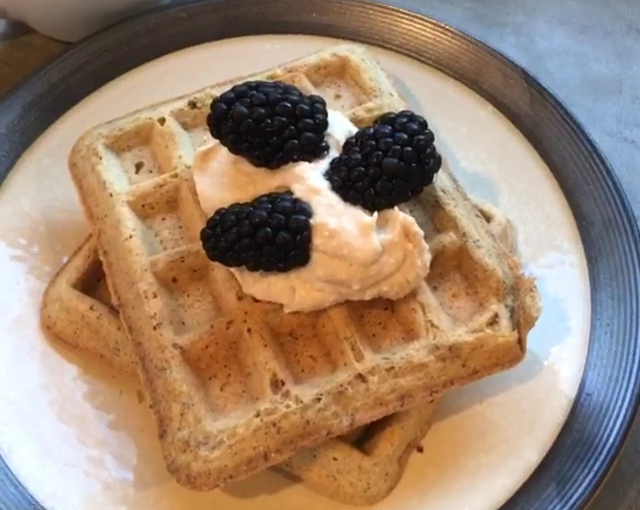 For some reason, you can top waffles with something more substantial than a pancake. I guess it’s the crunchy exterior – but it just works. 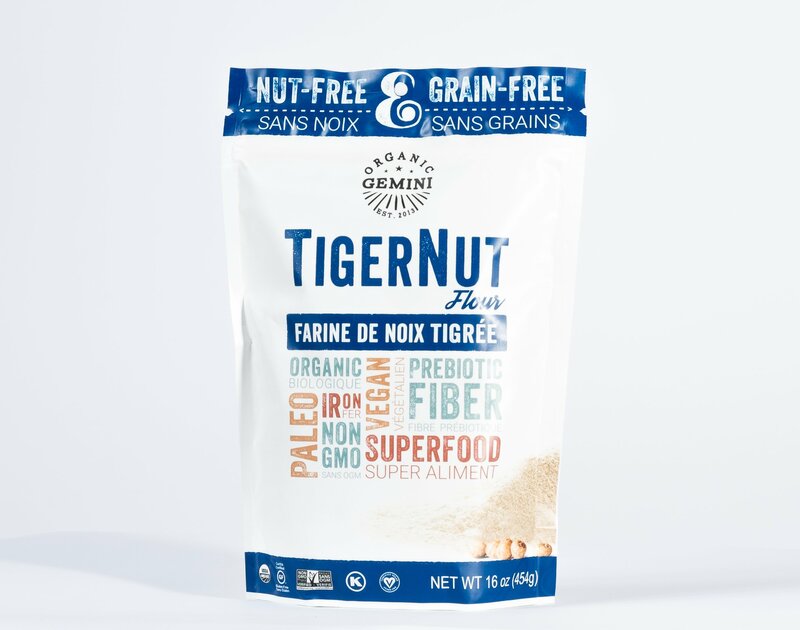 Tigernut flour through Organic Gemini website ($14/lb); Amazon ($12.05/lb); Thrive Market members ($10.49/lb). If you have a low carb recipe with a really dense flour, try cutting half of the flour w/ tigernut. You may need to add slightly more water, so add your liquids slowly to get the right consistency of your batter on your first try. 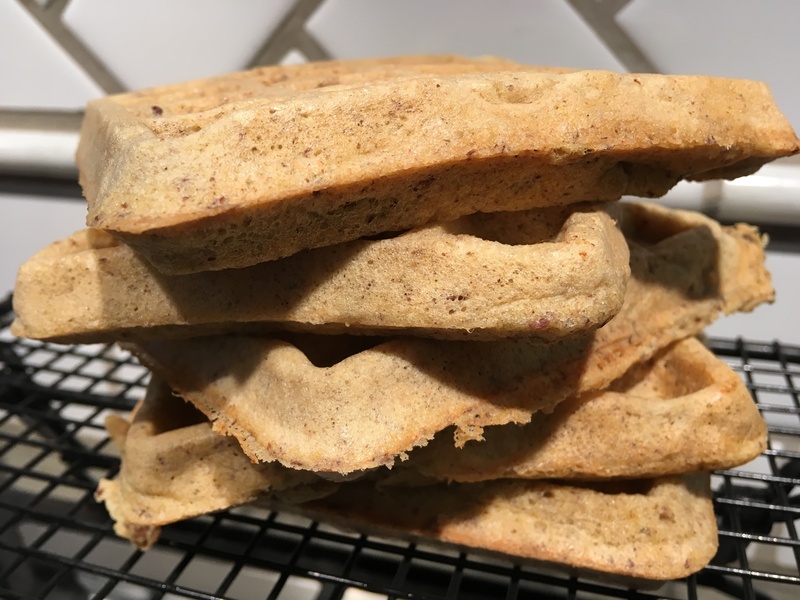 I have cut my Almond Flour Keto Pancakes with tigernut and they definitely make a fluffier pancake over all almond four! Try it! I also think tigernut would be great in a keto 90 second bread (I’m going to work on that recipe!) or other keto baked goods. The possibilities are endless. I like to top my waffles with either some butter, almond butter and/or a drizzle of the Lakanto Maple Flavored Syrup. 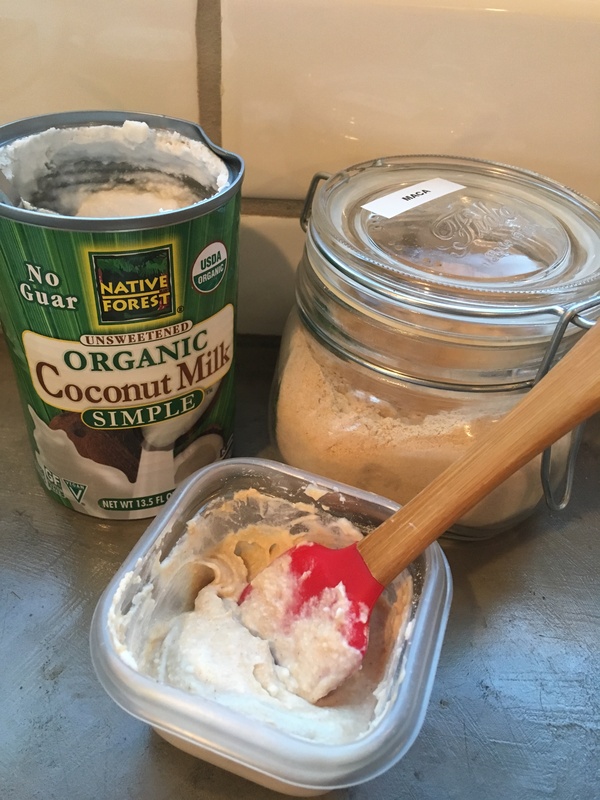 Try mixing some coconut cream and your favorite nut butter together – its to die for! Or, try my latest combo – 2 Tbsp coconut cream w/ 1 tsp maca, 3 drops liquid stevia and a dash of sea salt! Maca has some great health benefits and can help support your thyroid and hormone balance. Im working on both right now, so Im working on incorporating more maca into my recipes. I really like the ‘butterscotch’ flavor. I think it can take some getting used to, but I’ve really grown to like it. * BTW – If you pair two of these with a fatty coffee or tea latte, it makes for some near perfect keto macros! I hope you enjoy this recipe as much as I do. The waffles freeze and reheat really well. I just threw two in my toaster this morning and they tasted like they were fresh! I think these would pack really well for camping or backpacking as well! They should hold together enough to make a sandwich with them (However, I would wait to assemble the sandwich until you are ready to eat). I’ll have to test that as well. If anyone does before me, please let me know how it goes. Pre-heat an electric waffle maker. While warming waffle maker, mix all dry ingredients in a small bowl and whisk with a fork to combine. Add all wet ingredients on top of the dry (in the same bowl) and whisk until batter is smooth. My waffle maker made 2 square waffles at a time. For this size, scoop ~1/4 cup of batter into each square (until just covered) and close the lid until the light indicates the waffle is done. *leave in an extra minute for a crisper waffle. 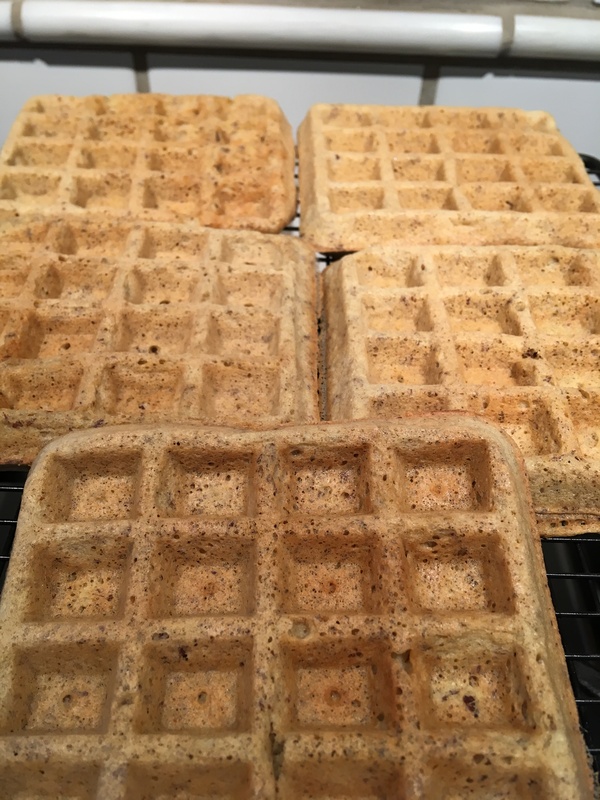 Set cooked waffles on a cooking rack or in a warm oven to prevent them from getting soggy. Served topped with butter, a low carb monkfruit syrup, coconut cream, and/or nut butter.